Enter the wizard secret garden and discover the luscious lawns and delicate flowers that live there. Keep your eyes peeled for the appearance of a conscientious mallard duck who will bring you sumptuous jackpots and generous bonuses. Rival Gaming is a relatively new developer on the slots market with games like Arabian tales, costume, and best of luck in their repertoire but has yet again produced a banger with this exciting online slot games. 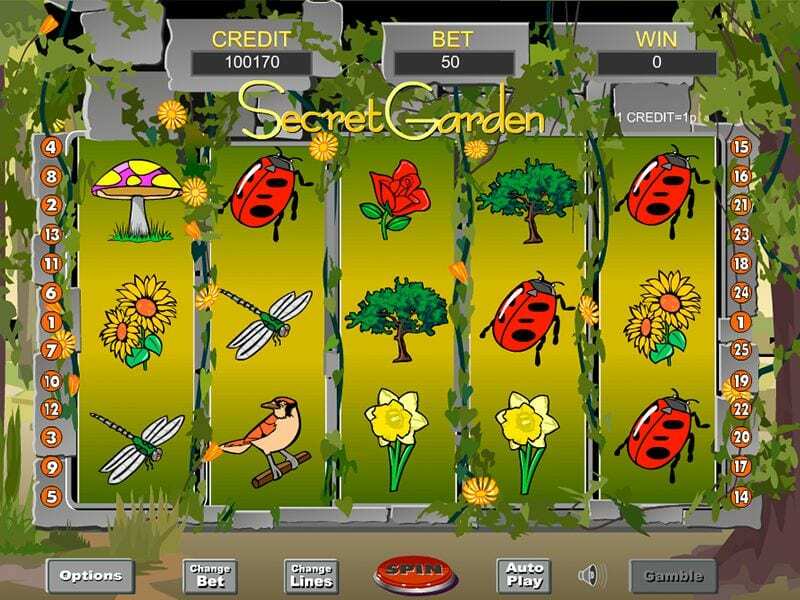 Any gamers who have any recollection of the secret garden game will be amazed at how closely the developers have followed the traditional storyline when compiling this slot game. However, if you’re unfamiliar with this story, you can surely admire and recognise the beauty that lies within this sultry gambling creation. Hop on to a wonderful journey when you play online slot best games such as this one. 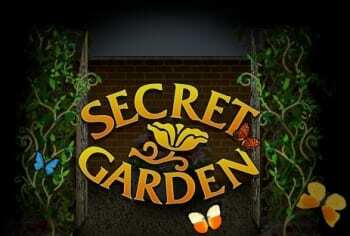 The Secret Garden is a standard 5 reel 3 row, 25 fixed payline online slot game that can be enabled throughout the game according to the respective betting strategies. Place your bets from as little as 1p right up to £50 per spin, if you’re feeling lucky. Enjoy a mixture of characters hidden among the symbols that help deliver the fundamentals of the secret garden storyline. Characters and symbols include a wheelbarrow, a bunny, Dickon, and little Mary Lennox. Peer into the background and explore the meandering ivy that infamously covered the secret door into the illustrious garden. 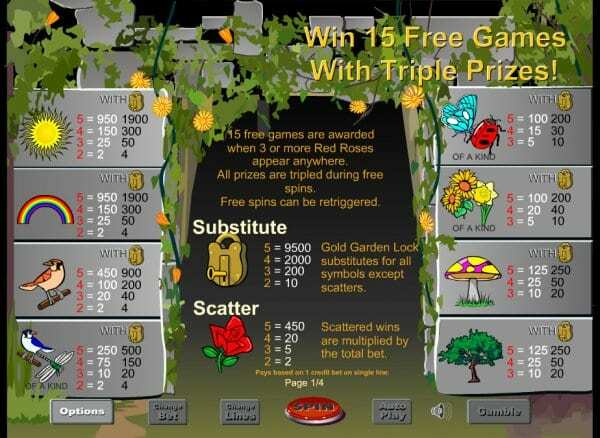 Spin and match the bouquet of roses as this is the highest paying symbol in the main game, it will pay out 500 times your initial line stake whenever you land 5 of these floral symbols on an active payline. 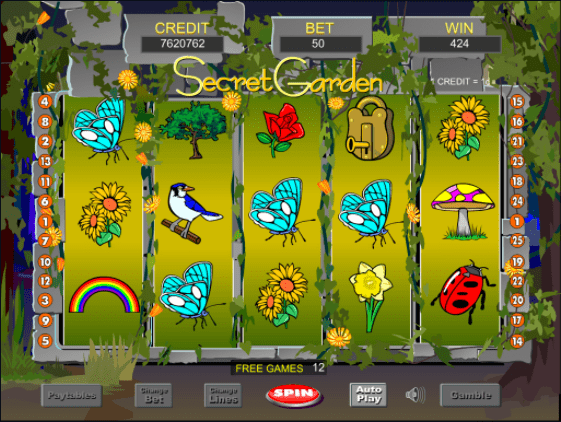 The Secret Garden online slot game has a wild symbol, a bonus symbol and the all-important scatter symbols. Find the duck symbol as this is your wild, it can be substituted and pays out with its own specific win combination. If you’re lucky enough to land 5 of these duck wilds then you will win 5000 times your initial line bet. If you’re looking to get on the board and win some free spins you must match the scattered door symbol, land 3 or more of these and you’ll amass 20 or more free spins. Lovely. The more doors you unlock, the more free spins you will get. In addition, there’s another bonus round known as the Master Key bonus. Enable this round by landing 3 or more master key bonus symbols and you will be taken to an interactive world where you’ll be chosen to aid the gardener to grow his precious plants and flowers. Help him collect the coins as he travels through his garden. The Secret Garden is a nostalgic trip into a traditional story from your childhood, however, the developers, rival games have done a great job at bringing this all back to life. Wizard Slots would definitely recommend this game to our players because of its sumptuous content and huge opportunities to win big both in the main game and its bonus rounds. Why not also try our Black Widow slot?